just a few traces of the snow left around town... i'm ready for warmer weather! 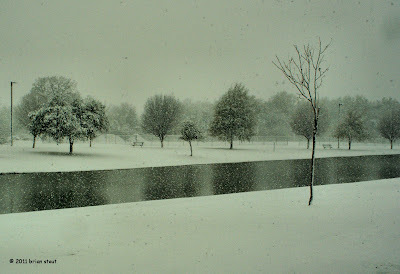 I love the snow coming down, thats a wonderful view, how come it cant look like that and be 70 degrees? Me too! The high today in Jackson is only supposed to be 32F / 0C. Brrr....!